This anthology provides excerpts from important feminist works along with a brief account of their authors. 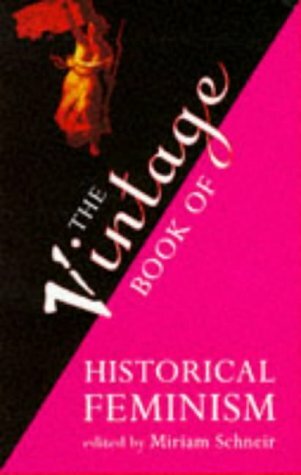 These historical writings, some of them now brought out of obscurity, span the period from the 18th century to the 20th century – beginning with figures like Abigail Adams (who exhorted her influential husband John Adams to include laws proclaiming freedom and equality for women while he was one among the many legendary figures drafting The Declaration of Independence in 1776) and Mary Wollstonecraft (who penned the important The Vindication of the Rights of Woman in 1792), proceeding with strong but lone rebel figures in the 18th century such as the controversial trio of Fanny Wright, George Sand and Sarah Grimke amongst others to the 19th century era when slowly American women were becoming more aware of their subjugated status and were beginning to form an affinity amongst themselves under the influence of feminists like Frederick Douglass, Sojourner Truth and Elizabeth Cady Stanton, also mentioning in brief the results of these movements – the legal fruits that their patience and resistance bore.Equally important were eminent men in the 19th and 20th century who were strong advocates of freedom and equality for women – John Stuart Mill, Henrik Ibsen, the Marxist Friedrich Engels, August Bebel and Thorstein Veblen who were remarkable supporters and enthusiasts for social reform in favor of women.20th century themes feature next with excerpts from Charlotte Perkins Gilman, Emily James Putnam, the immensely controversial and significant women – Emma Goldman and Margaret Sanger, followed by Clara Zetkin’s interview with Lenin during the socialist USSR movement, Virginia Woolf’s A Room Of One’s Own and the conclusion of the book with an excerpt from Mary Ritter Beard’s writing.What is notable about this anthology is that it is simultaneously a historical account and analysis of the women’s movement both from a literary/cultural as well as political point-of-view. Unlike other histories that focus brightly on political movements in the public eye that brought about changes while pushing important speeches/public addresses and literary/written works in the margins, this anthology traces the roots of the feminist movements, both in its written as well as performed forms – in essays, books, speeches as well as the confrontational movements such as militant feminism, which often entailed prison terms for women and forced feeding sanctioned by the state during fasts (civil disobedience covements) in protest and subsequent arrests, as also labor strikes in factories where women participated along with men for their rights.These works of protestations bring to light not only the deplorable social circumstances that women faced at the times these works were written, but also the narrow legal frameworks to which women were subjected – frameworks that had dire economic and marital consequences for women and which were the same as those in rigidly patriarchal societies that we see in some nations today – and this history is barely a hundred years old, and reformed only through the dedicated efforts of women who cared not what the world thought of them, nor what their families would have to endure in social circles for the blasphemies they would be committing – indeed, these women were brazen in their quest for legal, social, individual and financial freedom – and equality as equal as imparted to the males. But for them, there would have been scarcely any difference between them and patriarchal frameworks in some countries in the present times.It is not just a book chronicling the triumph of free-spirited women seeking equality with men in historical terms – but a tribute to the undying spirit of women who believe that conformation to the self’s conceptions of respect and freedom, to the conscience’s call for a radical upheaval in one’s own life is greater than the upholding of the social codes of morality and ethics – that personal ethics are a higher calling than social ethics – and that a woman’s duty to please herself are as important, and in fact, more important the her duty of pleasing her family and the society she lives in.Far from providing a theoretical framework for the field of Women’s Studies, the anthology inspires women to stand up for their own beliefs for their own respect on their own terms in the light of these magnificent women’s struggles who cared neither for reputation nor approval save that came from their own consciences.